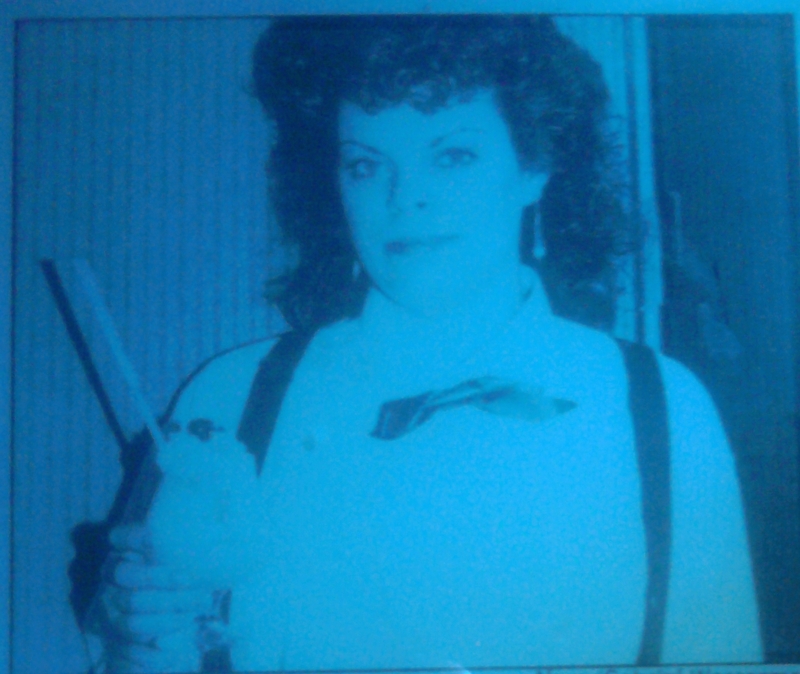 Back in the days of big hair and bad fashion (better known as the 80’s) I had a fascination with cocktail culture. Working behind the bar at a hotel in the Hudson Valley I learned how to make classic cocktails from scratch, the way they were meant to be. Using only fresh squeezed juices, sour mix made with egg whites and premium spirits I crafted specialty drinks not generally found in your average bar in those days. Regulars loved my drinks and even started bringing me bottles of regional specialty spirits from their travels to play around with. Like a mad scientist I’d whip up batches of infused syrups, ice cubes filled with fresh herbs/fruits and purees to add to my concoctions. Over the next few years I won several recipe competitions including the Pernod Challenge, sending me on a dream trip to France. Eventually I left cocktails behind for culinary school and my interest in wine. Sure, I’d mix up the occasional batch of sangria, but, until I had the good fortune to move next to Dram in Brooklyn I hadn’t thought much about the current cocktail craze. Dram is truly a dangerous place to have in such close proximity to ones door. On my first visit, with a friend for a simple night-cap, we were astounded by the variety of craft bitters, potions in unidentified bottles, strange liquors and the perfectly chipped ice in every glass. My choice for evening, the Waterloo Royale, was made with Old Tom Gin, Linnie Aquavit, house made grenadine, cucumber, fresh lime and sparkling wine. It was simply divine! Many a hot summer night Dram was my last stop to chill, enjoy a refreshing swizzle and watch the talented mixologists practice their craft. 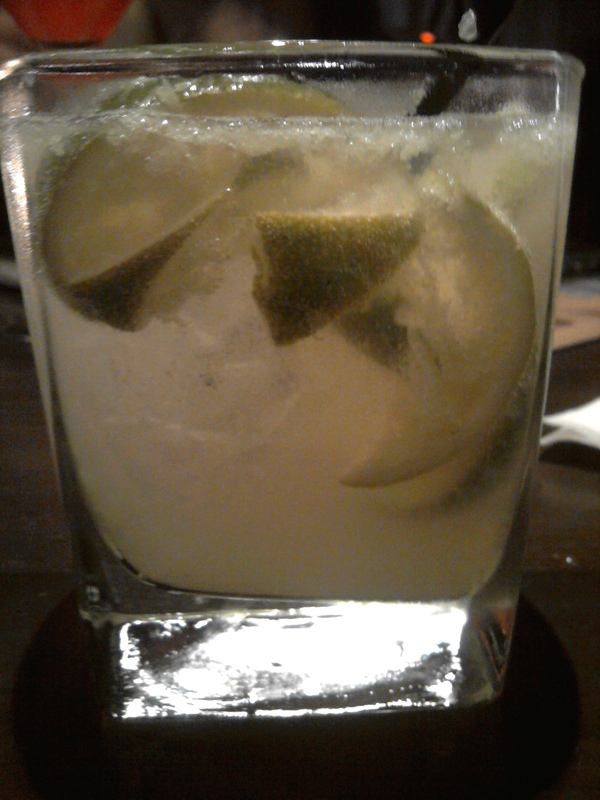 Although my love of wine will always win over spirits my interest in cocktail culture was renewed. Last week I had the opportunity to join in the frenzy known as the Manhattan Cocktail Classic and learn a bit more about current trends in the world of spirits. Part cocktail party, part festival, part conference this event took Manhattan by storm with nearly 100 different events held in bars and venues throughout the 5 boroughs! 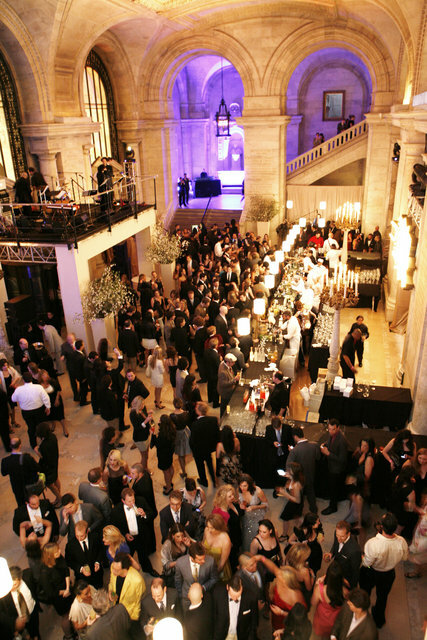 Starting on Friday with a gala evening in the NY public library and ending with an amazing craft spirit expo a good time was had by all that attended. Running parallel to the ticketed events was an industry invitational at the uber posh Andaz Hotel on 41st street. I attended a number of tastings and seminars held in the style of Ted Talks geared towards introducing and educating the trade in the current trends, history and different styles of cocktails being made today. Walking into the beautiful lobby at the Andaz I was directed up to the second floor to start the days festivities. A sleek and modern show kitchen was positioned in the center of the second floor with a rotating selection of vendors offering samples of various craft distillates both straight and mixed with freshly squeezed juices, bitters and the most perfect fruit wedges I’d ever seen. Down the hall a vast array of insanely delicious mixed drinks were being prepared with Pisco from Chile. I chose a Mundo Loco, made with fresh grapefruit, swedish punsch, 2 kinds of Pisco and rimmed with a special Chilean spice mixture called Merken. Chatting with one of the representatives I learned a bit about the differences in Pisco’s from Chile and Peru. As I wandered out on to a roof deck I discovered an orange liqueur created for Napoleon Bonaparte in the late 1700s, Mandarin Napoleon. Belgian in origin it’s a mixture of aged cognac, mandarin orange peel from Sicily , herbs and spices. Pretty freaking tasty! Next up was one of the coolest culinary demonstrations I’ve ever seen. 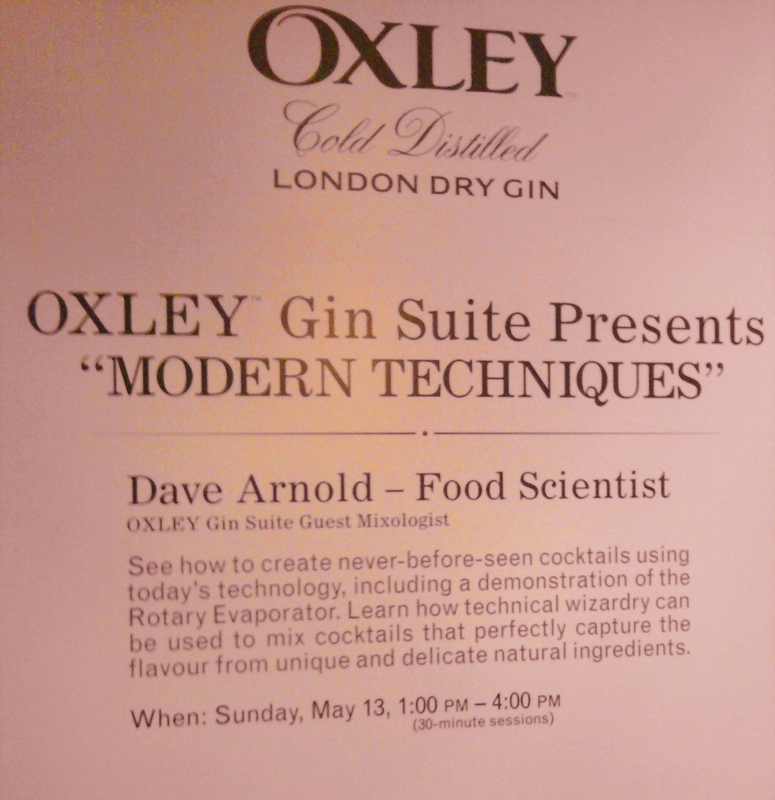 Presented by food scientist Dave Arnold this seminar on modern techniques discussed using liquid nitrogen, hot pokers, rotary evaporators and other seemingly lunatic methods to create the perfect cocktail. This guy was fascinating, a true culinary mad scientist. The type of guy who as a kid probably blew up the chemistry lab. I couldn’t help comparing Dave to the old science dude who did wild experiments on tv when I was a kid, Mr. Wizard. I can’t wait to check out his drinks at Booker and Dax . Watch his artistry here on Eater, truly a sight to behold. I had a great time learning, sipping and tippling my way around this event. The additional seminars I attended were on point, filled with tasty alternatives and chock full of tips for all facets of the beverage industry. 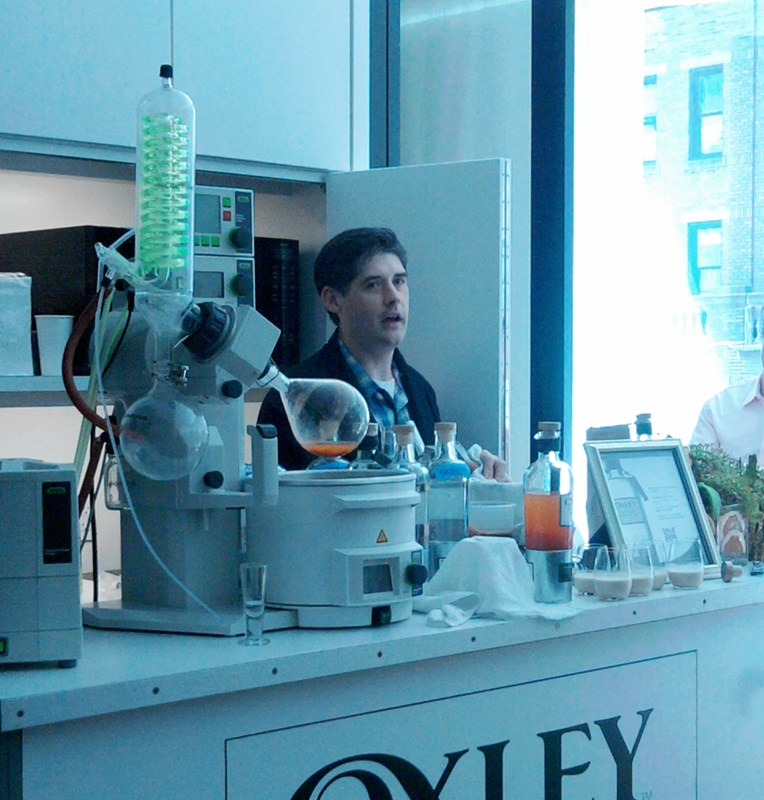 My favorite was a panel discussing the future of the cocktail industry and the difference in using fresh ingredients. Taking classic recipes and improving on them or adding your own special twist. The difference between a gin and tonic made with fresh lime juice, a simple syrup made with quinine and Perrier vs one with plain old tonic water was astounding. Next years Manhattan Cocktail Classic takes place May 17th-23rd. Granted, it may take me a year to get ready for another round of this many drinks but I’m up for it! Bring on #MCC 2013! I hope you will join me! In the meantime try making a gin and tonic using this great recipe for tonic water. It’s the perfect summer thirst quencher!